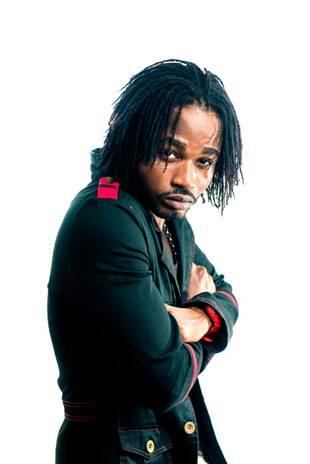 Back in Jamaica after halting his U.S promotional tour due to a death in the family, dancehall artiste Bramma Di Gorilla says he is trying to remain positive and credits recording as one of the main channels used to garner strength and remain focused in times of despair. Bemoaning the loss of his beloved grandmother Mrs. Myrtle Brammer, the deejay continues to push forward with his career, a move he says his grandmother would want if she were still alive. The entertainer recently teamed up with noted production house Digital Vibez Entertainment for the release of his latest single 'Fashion Police' featured on the Hot Steel Rhythm. The upbeat composition lyrically re-enacted in a courtroom scenario sees Bramma advising the court to arrest women who are notorious for stealing or borrowing from friends and even buying imitation garbs in a pretentious attempt to pass themselves off as fashionistas and trendsetters. Here are a few lines from the song, "how some gyal a hype bout dem hot when dem not__ ah tell yuh bout weh dem got and which part dem shop__ an when dem touch di road dem clothes smell like dish wash__ hot gyal nuh come pon road and dress up mismatch__ see the fashion police deh mi a seh fi lock har up... ah clothes she a theif mi a seh fi lock har up"
Despite the recent release the single is steadily gaining traction on the FM airwaves and has even found its way onto several radio outlets across Europe and the United Kingdom in only a matter of days. When quizzed about the resumption of his U.S tour, Bramma says he's not certain because his main focus presently is sorting out the funeral arrangements and making sure the other members of his family are in good stead. "I can't tell you when the tour or if the tour will continue, family come first and that takes priority over all other things right now" - the added. Bramma is expected to make his first local appearance in weeks at Bourbon Beach on August 10.